motor vehicle collision occurs every 16 minutes in the United States today, according to reports from the National Highway Traffic Safety Administration (NHTSA). Accidents cause a number of different reactions and tend to be traumatic for all of those involved. While any serious impact is distressing, those which cause injuries often inflict emotional suffering on top of the physical pain accident victims feel. Injuries the any part of the face are particularly traumatic for accident victims, as they often leave permanent scarring or disfigurement. When a persons face is injured, it often leaves the victim feeling self-conscious about their appearance. This lack of confidence affects so many aspects of a persons life. Facial injuries are amongst the most concerning of all Arizona auto accidents. In fact, recent research reveals that over half of all accident victims who sustain a traffic crash suffer from some type of facial injury. The facial region is often vulnerable in accident situations due to the limited protection provided to the face. Severity of facial injuries ranges significantly. Injuries range from mild to severe depending upon the force of the impact, the position of the crash, and the area of the fact that is affected. A number of circumstances will play a role in determining recovery time and the level of treatment that will be required. While some injuries are temporary, others may leave permanent markings on the face. Dental Injuries: isolated damages to teeth frequently occur as a result of a motor vehicle crash. Dental experts are vital in these situations, as a general physician will be unable to perform the proper surgery to fix the issue. The most common dental injuries are knocked out or displaced teeth and fractures to the supporting bone. Soft Tissue Injuries: Contusions, bruising, cuts, and lacerations are soft tissue injuries are that frequently reported following a traffic accident. Typically, these damages are treated with stitches to begin the healing process. The physician will evaluate the soft tissue damage to ensure that no facial nerves, salivary ducts, or salivary glands have been hindered. Joint Injuries: when an accident victims face strikes the steering wheel, a common outcome of an auto accident temporomandibular joint injuries (TMJ) tend to occur. When the face hits the steering wheel, the jaw bone is often fractured or disc used to keep the jaw in place is dislocated. While accident victims who sustain TMJ damage do not show any physical changes, their eye may swell and serve as the only indicator of this type of injury. Ultimately, TMJ may lead to headaches, clicking jaw, limited mobility in the jaw joint, locked jaw, an abnormal bite, and neck, back, and facial pain. Facial Bone Injuries: facial bone fractures are treated the same way that any bone fracture in the body is treated. However, since the face is unable to be casted, physicians must use different methods to stabilize the facial fracture. Broken jaws are the most common facial bone injury following a traffic accident. While any injury suffered during a crash is cause for concern, facial injuries often inflict a number of additional emotional damages. If you or a loved one has been injured in a crash, our skilled team of attorneys is prepared to fight for your compensation. We offer a free, no-obligation consultation to accident victims throughout the state of Arizona. 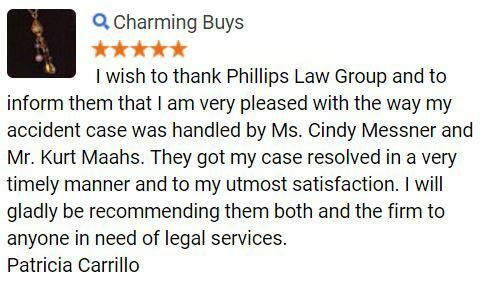 Phillips Law Group treats each and every client with the same respect, compassion, and care. 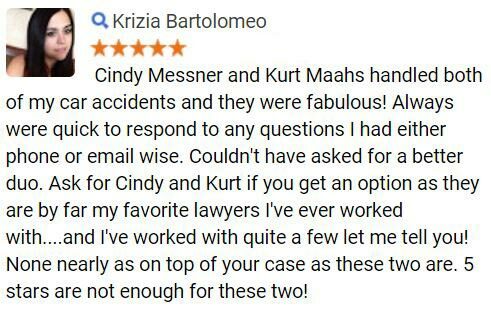 We understand the stresses and anxieties associated with auto accident and therefore do our best to make accident victims feel as comfortable as possible during these trying times. When the negligence of another motorist causes injuries to you and your family, this at-fault party must be held liable for the damages in which they have inflicted. 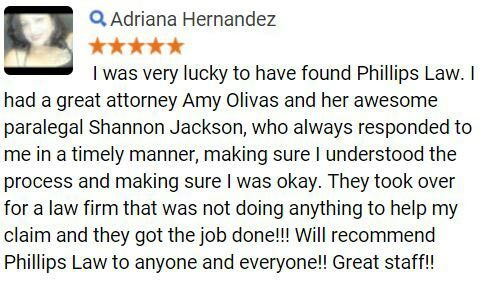 If you or a loved one has suffered during a crash, our Phoenix auto accident lawyers are here for you. We work tirelessly to build a case that awards our clients the maximum compensation possible. 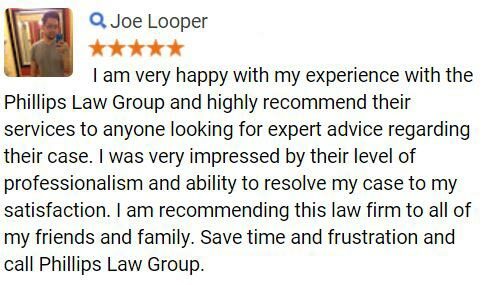 In doing so, our personal injury lawyers help Arizona accident victims to handle the large costs associated with lost wages, medical expense, and any other monetary bills related to the accident.